You know that recipe? The one that doesn’t even merit the title of a “recipe” due to its laughable simplicity? The one that you could whip up in seconds flat with both hands, feet, and elbows tied behind your back? The one that provides a quick dose of deep gustatory satisfaction every time you nosh on it? Well, my friends, this is my that recipe. Frankly, I don’t really know when I first concieved of this delectable combination of unpretentious ingredients, though I remain fairly confident about how this dish (if I can even call it that) was born: the culinary deities shot a lightning bolt of inspiration at my unsuspecting self that ultimately caused my mixing of three of my all-time favorite foods—the chickpea, the king of all legumes; avocado, nature’s perfect solution to creamy unctuousness; and dulse, the flaky reincarnation of all the sea’s splendor. I adore this creamy, beany, seaweed-y mash served on a brown rice cake, scooped on top of a salad, or wrapped inside a lettuce/kale/collard leaf, as pictured above. Then again, I have often found myself simply spooning it into my mouth straight out of the bowl, which is a completely respectable option, especially considering the powerful health benefits of the three ingredients! Chickpeas contain hefty amounts of fiber to aid in digestion, as well as ample stores of protein, antioxidants, and valuable minerals; avocados offer a ridiculous amount of anti-inflammatory carotenoids and heart-healthy mono/polyunsaturated fats; dulse soaks up the plethora of minerals from the sea, contains more vitamin C than oranges, and serves as one of the richest plant sources of calcium. In a small bowl, mash the chickpeas with the back of a fork. Scoop in the avocado flesh and continue mashing with the fork until both the chickpeas and the avocado are adequately mushy. Add the dulse flakes and stir well to combine, creating a creamy mixture. Recipe submitted to Wellness Weekend. Comment Provoking Questions: What is your “that recipe”? Breakfast: A “Key Lime Pie” smoothie inspired by Leanne at Healthful Pursuit of the juice & zest of 1 lime, 3/4 cup coconut water, 1 frozen banana, the pulp of 1/2 a fresh vanilla bean, 1 tbsp almond butter, a heaping helping of kale, 1 date, 1/2 tsp spirulina, 1 baby cucumber, and 1/2 tbsp hemp seeds, topped with fresh strawberries and brown rice puffs. In disbelief that strawberries found their way to the farmers market this early, I basically interrogated the kind young farmer at the Roots Down stand to ensure that his berries tasted ripe, juicy, and….well, like strawberries. The ruby red gems certainly did not disappoint, except when their bag ran empty! I can’t wait to snag another pint next Saturday. Breakfast Checklist: Protein—almond butter. Whole Grain—brown rice puffs. Fruit—lime, banana, date, strawberries. Leafy Green—kale. “Super Food”—hemp seeds, spirulina. Added Veggie Bonus!—cucumber. Local Ingredients: Kale from Jones Valley Farm, cucumber from Canopy Gardens, strawberries from Roots Down Community Farm. Morning Tea: Organic Jasmine Pearl Green Tea from Rishi Tea in Milwaukee, WI. Mild, soothing, and delicate, this light green tea serves as the perfect beverage for quite contemplation. Plus, when steeped, the pearls unfurl into a gorgeous mass of floating leaves. Lunch Box: Mixed greens, three types of sprouts (farmhouse mix, mixed bean, alfalfa), fresh dill, 1 carrot, a large handful of succulent cherry tomatoes, and about 1/2 cup mixed cannellini and black beans, all tossed in Liquid Gold Dressing, sprinkled with dulse seaweed, and topped with a dollop of kimchi, accompanied by a couple Happy Crackers from My New Roots. As I’ve experienced rather bad luck with cracker escapades in the past, the crunchy, hearty, and super flavorful final product of these tasty morsels very happily surprised me. I incorporated some caraway seeds into the batter, which imparted a rye-like flavor that I’ve admittedly missed a bit since forgoing gluten. Lo and behold, I could replicate the tummy-unfriendly bread’s signature taste in a gluten-free-friendly snack! Meal Checklist: Protein—cannellini and black beans, sesame seeds in crackers. Whole Grain—quinoa and brown rice in crackers. Vegetables—farmhouse mix sprouts, mixed bean sprouts, alfalfa sprouts, dill, carrot, cherry tomatoes, kimchi veggies. Leafy Greens—mixed greens, cabbage in kimchi, dulse seaweed. Local Ingredients: Mixed greens from Jones Valley Farm, alfalfa sprouts and bean sprouts from Troy Gardens, “farmhouse mix” sprouts from Garden to Be, kimchi from Fizzeology, cherry tomatoes from Canopy Gardens. Pre-Bike Ride Snack: A super hearty Black Bean Beet Burger patty from Jo at Including Cake spread with a spoonful of Cashew Poblano Crema leftover from Jeanine’s Green Enchiladas recipe I enjoyed for dinner last week, accompanied by the most refreshing, crisp, sweet cucumber on which I’ve ever had the pleasure of munching. Lately, I’ve been listening to my body. I mean really listening to what it’s telling me. And truthfully, it’s been begging for a couple of snacks midday, especially before heading off to exercise, whether for a bike ride or my four-times-weekly yoga practice. This particular nosh, rife with whole grains, beans, veggies, and healthy fats, serves as the perfect afternoon pick-me-up to sustain me through a couple active hours until dinner time. I very highly reccommend both recipes mentioned above—the black bean burgers proved some of the densest, heartiest, and most complex flavored patties I’ve made in some time, while I’ve happily slathered the leftover cashew poblano crema on just about everything I could. Local Ingredients: Cucumber from Canopy Gardens. Dinner: A heaping plateful of one of the most genius salads I’ve encountered (and I’ve encountered my fair share of salads, believe you me), the Broccoli Salad with Sprouted Wild Rice and Citrus Avocado Basil Dressing from Laura at The First Mess. Yes, I also made a rather lofty claim about my “Holy Batman Salad” on last week’s WIAW, but what can I say? I’m on a ridiculously delicious dinner salad kick! Which is definitely not the worst kick on which to be. In any case, this salad also merits a cutesy superhero name due to its mingling of individually powerful flavors and textures—the crunchy broccoli, creamy-spicy dressing, chewy-nutty wild rice, toasty sunflower seeds, and sweet-toothsome raisins. My only tweaks included replacing the 3 tbsp of grapeseed oil to one tbsp of flax oil+2 tbsp water, as well as halving the amount of sunflower seeds. Meal Checklist: Protein—sunflower seeds. Whole Grain—sprouted wild rice in salad. Vegetables—avocado, jalapeno, basil, chives. Leafy Greens—broccoli. Local Ingredients: Basil from Canopy Gardens, chives from Brantmeier Family Farm. Comment Provoking Questions: Have strawberries arrived at your farmers market yet? What is your history of homemade crackers like? What constitutes your “perfect snack”? Breakfast: A smoothie of frozen pineapple, a baby cucumber, a frozen banana, 1/2 a small bunch of red russian kale, a couple sprigs of nettle, 1/2 tsp wheatgrass powder, and 3/4 cup Just Greens Juice (a blend of celery, cucumber, spinach, mustard greens, kale, collards, and parsley) from Columbia Gorge, topped with a heaping 1/2 cup of Citrus Summer Lentil Granola from Healthful Pursuit. Using vegetable juice as the liquid in smoothies provides another avenue by which to impart even more nutritional richness—this particular bottle of Just Greens Juice offers a staggering two pounds of veggies’ worth of vitamins, minerals, antioxidants, and fiber. Gotta love that juicing! In regards to the granola, I’ve never tasted such a bright, summery blend of whole grains, nuts, and seeds before. The orange zest and cardamom truly sing, transforming an average cereal into a stunning, flavorful morning treat. On second thought, I couldn’t quite call this granola recipe “average.” Featuring sprouted lentils, quinoa flakes, and puffed amaranth, Leanne’s unique breakfast utilizes a plethora of whole grains and legumes to create an intensely crunchy, satisfying wake-up meal. I did, however, tweak the original recipe a bit (what a surprise) by substituting GF rolled oats for the brown rice crisp cereal and replacing both the honey and 2 tbsp coconut oil with a mixture of 1/4 cup applesauce+2 tbsp almond butter+1 tbsp coconut oil. Breakfast Checklist: Protein—sprouted red lentils, almond butter (both in granola). Whole Grain—quinoa flakes, GF rolled oats, puffed amaranth (all in granola). Fruit—pineapple, banana, applesauce in granola. Leafy Green—nettles, kale. “Super Food”—wheatgrass powder, flax meal in granola. Added Veggie Bonus!—cucumber, green juice. Local Ingredients: Nettles from Hickory Hill Farm, kale from Jones Valley Farm, cucumber from Canopy Gardens. Morning Tea: Organic Vanilla Rooibos from Equal Exchange. Lunch Box: A large handful of gorgeous mixed greens, alfalfa sprouts, bean sprouts (including chickpeas, lentils, and beluga peas), “farmhouse mix” sprouts (including pea shoots, buckwheat sprouts, and microgreens), a scant 1/2 cup black beans, a super sweet carrot, and a couple cherry tomatoes (so succulent you wouldn’t believe they grew in a greenhouse! ), all tossed in Liquid Gold Dressing and topped with a large dollop of kimchi as well as three of Heidi Swanson’s Sesame Almond Brown Rice Balls. Somehow, I managed to exactly follow Heidi’s original recipe for the brown rice balls…okay, I made an incredibly minor change by using sweet, sticky brown rice (aka mochi) instead of regular short-grain brown rice. So sue me. As per Heidi’s suggestion, I opted to tuck small cubes of tofu into the middle of the adorable whole-grain parcels. Nutty, crunchy, sticky, smooth, and chewy all in a three-bite orb of yumminess. Meal Checklist: Protein—black beans; tofu, almonds, and sesame seeds in rice balls. Whole Grain—mochi brown rice in rice balls. Vegetables—alfalfa sprouts, bean sprouts, mixed sprouts, carrot, tomatoes, kimchi veggies, scallions in rice balls. Leafy Greens—mixed greens, cabbage in kimchi. Local Ingredients: Mixed greens from Jones Valley Farm, alfalfa sprouts and bean sprouts from Troy Gardens, “farmhouse mix” sprouts from Garden to Be, kimchi from Fizzeology, cherry tomatoes from Canopy Gardens, scallions from JenEhr Family Farm. Afternoon Snack: A tall glass of NessAlla Kombucha in Raspberry flavor. Dinner: One of the most visually spectacular and stunningly complex salads I’ve experienced in a long while—the Asparagus & Zucchini Ribbon “Pasta” Plate (I used carrot instead of zucchini) from Addicted to Veggies, augmented with chickpeas, atop a bed of purslane and cooked buckwheat, drizzled in Creamy Miso Garlic Sauce (also from Addicted to Veggies). My changes to the original recipe: substituted carrot for the zucchini since the latter is not in season yet, replaced the fresh dill with basil and parsley, omitted the chopped almonds, added a can of chickpeas. Holy medley of intense flavors, Batman! Every single ingredient in this intricate salad packs a punch of deliciousness and proves integral to the dish as a whole: the slightly dehydrated carrot and asparagus provide a subltely toothsome base of veggies, the dry dill/pumpkin seed mixture coats the vegetable ribbons with a mysterious savory taste sensation, the bell pepper as well as the raisins offer a bright pop of flavor and a juicy texture, the sundried olives and tomatoes provide a satisfying salty-savory component, the shallot lends a hint of sweet oniony personality, the chickpeas add protein and a creamy-smooth bite, and the herbs…well, who doesn’t love a hearty dose of herbs in every dish? Drizzled with a succulent sauce of cashews and miso, this salad launched me into pure gastronomical bliss. I also want to quickly mention purslane—my new favorite salad green. Supposedly favored by none other than Ghandi himself, purslane contains a bounty of omega-3 fatty acids, powerful antioxidants (including vitamins A, C, and E), and plenty of iron, magnesium, and potassium. Purslane has a delicate, incredibly refreshing flavor and shimmery leaves that initially provide a smooth mouthfeel yet succumb with a slight crunch. Meal Checklist: Protein—chickpeas, pumpkin seeds, cashews in sauce. Whole Grain—buckwheat. Vegetables—asparagus, carrot, bell pepper, olives, sundried tomatoes, shallot, basil, parsley, garlic. Leafy Greens—purslane. Local Ingredients: Asparagus from Sutter’s Ridge Farm, bell pepper and basil from Canopy Gardens, shallot and parsley from the Plahnt Farm, purslane from Jones Valley Farm, garlic from Brantmeier Family Farm. Comment Provoking Questions: Have you tried using prepared juices in your smoothies? What sorts of flavorful additions take your granola recipes to the next level? Are you familiar with mochi rice? Or purslane? Breakfast: A refreshing smoothie à la Elenore over at Earthsprout (a gorgeous blog—I’d highly recommend paying a visit if you haven’t yet) of 1 frozen banana, 1/4 cup each raspberries, blueberries, and blackberries, a huge handful of nettles, a smaller handful of spinach, 1/2 tsp each wheatgrass powder and spirulina, half of a lemon‘s juice and zest, and 1 cup of Harmless Harvest coconut water (my absolute favorite brand of the tropical beverage), topped with a heaping 1/2 cup of Maria’s Toasted Super Muesli. The bright zippiness of the lemon mingled beautifully with the berries and mild greens—I’ll definitely have to remember to include the sunny citrus in more of my smoothies. As for the muesli, it turned out wonderfully crunchy with an intense nutty blend of flavors from the nuts (of course) as well as the quinoa flakes. The recipe used only 1 tbsp of sweetener (I opted for date paste), which I appreciated since my palate is highly sensitive to overly saccharine foods, but called for a bit more coconut oil that I would have preferred. Next time I experiment with this recipes, I may substitute either applesauce or mashed banana for a portion of the oil. Breakfast Checklist: Protein—sunflower seeds, sesame seeds, almonds, and walnuts in muesli. Whole Grain—GF rolled oats, quinoa flakes, and buckwheat in muesli. Fruit—banana, raspberries, blueberries, blackberries, lemon. Leafy Green—nettles, spinach. “Super Food”—spirulina, wheatgrass powder. Local Ingredients: Nettles from Sprouting Acres, spinach from Shagbark Ridge Farm, frozen raspberries from Sutter’s Ridge Farm. 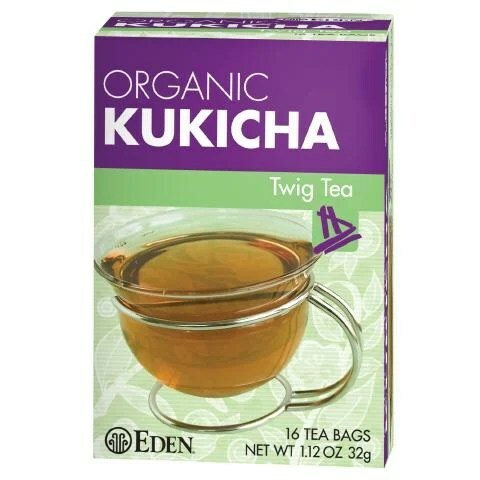 Morning Tea: Kukicha Twig Tea from Eden Organics. Lunch Box: A large handful of absolutely stunning farmers market mixed greens, pink-hued buckwheat sprouts, alfalfa sprouts, mixed bean sprouts, a intensely sweet carrot, juicy cherry tomatoes, and about 1/4 cup adzuki beans, all tossed in Liquid Gold Dressing (as per usual) and topped with a dollop of kimchi, accompanied by two slices of my take on Ashley’s Herb Quinoa Oat Bread slathered with Noelle and David’s astonishingly delicious Rosemary Pistachio Hummus. Vibrant and fresh from the farmers market, almost every aspect of my lunch box originated in Wisconsin, vastly improving both the flavor and environmental friendliness. Gotta love eating local! If you haven’t already sprinted to the kitchen at the mention of The Rose Journal’s tantalizing recipe for Rosemary Pistachio Hummus, please do so immediately—both your tastebuds and soul will thank you. Seriously though, I cannot imagine a more scrumptious amalgamation of flavors than the subtle sweetness of sauteed shallot, the earthy nuttiness of pistachios, and the piney woodsiness of rosemary blended with creamy chickpeas. I happily devoured half of this recipe within the first two days of making it, both on the aforementioned Quinoa Oat Bread, as well as a spoon. Meal Checklist: Protein—adzuki beans; almond flour in oat bread; tahini, pistachios, and chickpeas in hummus. Whole Grain—oat flour, teff flour, and buckwheat flour in oat bread. Vegetables—buckwheat sprouts, alfalfa sprouts, bean sprouts, carrot, tomatoes, kimchi veggies, parsley, thyme, rosemary, shallot. Leafy Greens—mixed greens, cabbage in kimchi. Local Ingredients: Mixed greens from Shagbark Ridge Farm, alfalfa sprouts and bean sprouts from Troy Gardens, carrots from JenEhr Family Farm, buckwheat sprouts from Garden to Be, kimchi from Fizzeology, cherry tomatoes from Canopy Gardens, shallots from the Plahnt Farm. Afternoon Snack: A tall glass of NessAlla Kombucha in Peach Blush flavor. Dinner: Tiffany’s informal recipe for Kimchi Fried Rice, accompanied by Heidi Swanson’s Spiced Coconut Spinach augmented with fiddlehead ferns. In Tiffany’s fried rice method, I merely substituted a ramp bulb for the scallion and implemented sweet sticky brown rice (aka mochi), while in Heidi’s spinach dish, I reduced the amount of oil and added two large handfuls of the wildly amusing and happily crunchy fiddlehead ferns—truly spring’s edible playthings. Who can resist their curlicued gastronomical entertainment? Both of the recipes turned out extremely tastily and made for a quick, easy dinner. Meal Checklist: Protein—edamame. Whole Grain—sweet brown rice (mochi). Vegetables—ramps, kimchi veggies, shallot, garlic, asparagus, fiddlehead ferns. Leafy Greens—spinach. Local Ingredients: Ramps from Harmony Valley Farm, kimchi from Fizzeology, shallots from the Plahnt Farm, garlic from Brantmeier Family Farm, asparagus from Sprouting Acres, fiddlehead ferns from Hickory Hill Farm. Comment Provoking Questions: Do you have a favorite brand of coconut water? How do you use spring’s wild-foraged goodies such as nettles and fiddleheads? What’s the most unorthodox yet delicious hummus you’ve ever tasted? Breakfast: A verdant smoothie inspired by Sarma of 1 tangerine, 1/2 cup frozen pineapple, 1 peeled meyer lemon, 2 small stalks of celery, 1 baby cucumber, 1 tsp hemp seeds, 1/2 tsp wheatgrass powder, 1/2 tsp spirulina, 1/2 bunch of cilantro, 1/2 small bunch of lacinato kale, and a large handful of mixed sprouts, accompanied by a Berry Crumble Bar from Munchin’ with Munchkin. Fruit crumble bars undoubtedly win the title of my favorite type of baked good. Who doesn’t adore biting into a hearty, oat-laden, fruit-filled rectangle of deliciousness? Redolent of coconut, not overly sweet, and verily crumbly, these Berry Crumble Bars served as an absolutely scrumptious, wholesome morning treat. Differing from the original recipe only slightly, I eliminated the brown sugar, substituted arrowroot for cornstarch, and used date paste instead of agave nectar. Breakfast Checklist: Protein—hemp seeds, almond flour in crumble bar. Whole Grain—GF rolled oats in crumble bar. Fruit—tangerine, pineapple, meyer lemon, blueberries, raspberries, dried figs (last three in crumble bar). Leafy Green—kale. “Super Food”—hemp seeds, spirulina, wheatgrass powder. Added Veggie Bonus!—celery, cucumber, cilantro, sprouts. Local Ingredients: Cucumber from Canopy Gardens, sprouts from Garden to Be. 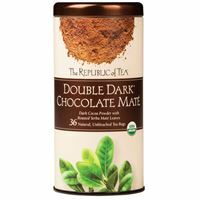 Morning Tea: Organic Double Dark Chocolate Mate from the Republic of Tea. Lunch Box: Mixed lettuces, alfalfa sprouts, “farmhouse mix” sprouts, mixed bean sprouts, 1 medium carrot, a handful of red and yellow cherry tomatoes, and chopped dill, all tossed in Liquid Gold Dressing, topped with cortido, and accompanied by a mash of 1/2 cup chickpeas, 1/2 avocado, and 1 tbsp dulse flakes on a brown rice cake. Meal Checklist: Protein—chickpeas. Whole Grain—brown rice cake. Vegetables—alfalfa sprouts, mixed sprouts, bean sprouts, carrot, tomatoes, dill, cortido veggies. Leafy Greens—mixed lettuces, cabbage in cortido, dulse seaweed. Local Ingredients: Alfalfa sprouts and bean sprouts from Troy Gardens, carrots from JenEhr Family Farm, farmhouse mix sprouts from Garden to Be, cortido from Fizzeology, cherry tomatoes from Canopy Gardens. Dinner: A generous pile of Shaved Asparagus Salad and White Bean Salad from Clean Eating Magazine (sans the cheese) over a bed of mixed lettuces, topped with a spoonful of lemon-thyme marinated morels and shiitakes and a 2 squares of Quinoa Cornbread from Straight Up Food (only one is pictured). For the lemon-thyme marinated morels and shiitakes, I thinly sliced about 4 oz each of morel and shiitake mushrooms, them combined them in a bowl with a marinade of 1/4 cup lemon juice, 2 tbsp balsamic vinegar, 1 tbsp apple cider vinegar, and 2 heaping tbsp fresh chopped thyme. The flavor proved a bit too acidic—perhaps I would eliminate the apple cider vinegar and decrease the amount of lemon juice—but the texture proved pleasantly chewy. In regards to the quinoa cornbread, I followed the recipe almost exactly, augmenting it with about 3/4 cup frozen corn to impart a sweet, fresh flavor and fun pops of juicy kernels. Hearty, dense, and with just a touch of sweetness, the cornbread will definitely remain on my regular repertoire of baked goods. Finally, while I enjoyed the bright citrus flavor of the shaved asparagus and white bean salad, as well as the creamy white beans contrasted with the crunchy toasted walnuts, I think I prefer my asparagus cooked (preferably roasted), for it tasted oddly bitter in its raw state. Meal Checklist: Protein—cannellini beans, walnuts. Whole Grain—quinoa, cornmeal, GF rolled oats. Vegetables—asparagus, red onion, basil, thyme, morel and shiitake mushrooms. Leafy Greens—mixed lettuces. Local Ingredients: Mixed lettuces from JenEhr Family Farm, asparagus from Sutter’s Ridge Farm, red onions from Singing Fawn Gardens, morel mushrooms from McCluskey Brothers, shiitake mushrooms from the I-Can’t-Remember-Which-Market-Vendor Farm, basil from Canopy Gardens. Comment Provoking Questions: What is your favorite type of baked good? Your best recipe for mushrooms? How do you like to handle morels? Asparagus: raw or cooked? Pausing briefly from my series of Philadelphia posts, I’m happy, as always, to participate in this week’s What I Ate Wednesday! Upon Waking: A cup of warm water mixed with 1 tbsp lemon juice to stimulate metabolism and digestion (unpictured—who can remember a camera at 5:00 am?). Breakfast: A rather unappetizingly colored, though assuredly yummy and wonderfully nutritious, smoothie of 1/2 avocado, 1 medium peeled chiogga beet, 1 tbsp hemp seeds, 1/2 tsp spirulina, 1/2 tsp wheatgrass powder, 4 large leaves of lacinato kale, 1 large frozen banana, 1/2 cup frozen cherries, 1 cup frozen mixed berries, and 3/4 cup Popeye Juice (a blend of carrot, beet, and spinach) from the Willy Street Coop, topped with a generous serving of (unpictured) brown rice puffs. The latest addition to my “superfood” powder collection: wheatgrass! Since only the grain of the wheat plant causes adverse reaction in those with gluten intolerences, wheatgrass is an a-ok nutritional powerhouse for those with gluten no-no’s. Breakfast Checklist: Protein—hemp seeds. Whole Grain—brown rice puffs. Fruit—avocado, banana, cherries, mixed berries. Leafy Green—kale, spinach in juice. “Super Food”—hemp seeds, spirulina, wheatgrass powder. Added Veggie Bonus!—beet, carrot in juice. Local Ingredients: Chiogga beets from GittOrganic, juice from the Willy Street Coop. Mid-Morning Snack: About half of a bottle of Inner Peace Juice from the Willy Street Coop—an awakening blend of carrot, celery, spinach, parsley, and lemon. Lunch Box: Mixed lettuces, alfalfa sprouts, “farmhouse mix” sprouts, mixed bean sprouts, yellow carrot, roasted sweet potato, 1/2 cup sprouted brown rice, and 1/2 cup kidney beans tossed in Liquid Gold Dressing and topped with a large dollop of cortido and a sprinkling of dulse seaweed. Meal Checklist: Protein—kidney beans. Whole Grain—sprouted brown rice. Vegetables—alfalfa sprouts, mixed sprouts, bean sprouts, carrot, sweet potato, cortido veggies. Leafy Greens—mixed greens, cabbage in cortido, dulse seaweed. Local Ingredients: Alfalfa sprouts and bean sprouts from Troy Gardens, carrots from JenEhr Family Farm, farmhouse mix sprouts from Garden to Be, cortido from Fizzeology. Afternoon Snack: A bottle of GT’s Organic Enlightened Synergy Kombucha in Strawberry Serenity flavor. Even though I adore supporting my local all-women Kombucha brew team at NessAlla, how could I resist the sale on GT’s Kombucha at the co-op this month? Only $2.43 per bottle, for goodness sake! Needless to say, I snagged six bottles this Saturday to last me through the entire week. Dinner: Three (only one is pictured) marinated and roasted portabella mushrooms, each topped with a scoop of sprouted brown rice, a sprinkling of chickpeas, and a saute of dandelion greens and fiddlehead ferns, accompanied by four succulent braised ramps. Marinate the portabellas and ramps (separate the green leaves from the white/red bulbs) for 1-2 hours in 3/4 cup vegetable broth, 3 tbsp balsamic vinegar, the juice and zest of one lemon, and 1/2 cup each of cilantro and parsley. Roast the portabellas gill-side down in a 425°F oven for 20 minutes. Meanwhile, heat 1/2 tsp coconut or olive oil in a skillet and saute the ramp bulbs (reserving the greens) for about 5 minutes. Pour the reserved marinade, not including the ramp leaves, into the skillet. Bring the liquid to a boil, then turn down to low and braise the ramps for about 10 minutes, or until almost completely tender. When the ramp bulbs have almost finished cooking, turn the heat up to medium and add in the fiddlehead ferns. Saute for about three minutes, then add in the ramp greens and dandelion greens. Saute for another 3 minutes or so, until the greens are just wilted. To serve, lay a portabella mushroom gill-side up on a plate and layer with a bit of cooked brown rice, chickpeas, and your green saute mixture. Lay the braised ramp bulbs alongside for a satisfying spring meal. Meal Checklist: Protein—chickpeas. Whole Grain—sprouted brown rice. Vegetables—portabella mushrooms, cilantro, parsley, lemon, ramps, fiddlehead ferns. Leafy Greens—dandelion greens. Local Ingredients: Cilantro from Blue Skies Berry Farm, ramps from Harmony Valley Farm, fiddlehead ferns from Hickory Hill Farm, dandelion greens from Keewaydin Farms. 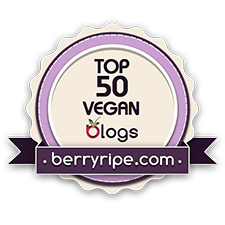 Comment Provoking Questions: What is your favorite juice blend? Do you make your own juice or buy it at a juice bar/natural foods store? What’s your take on wheatgrass? Have you ever cooked with fiddlehead ferns before? What is your favorite marinade for portabella mushrooms? I’m quite glad to again participate in the ever-entertaining WIAW after a two-week hiatus. Upon arrival home from Montreal and a busy week of school, time simply got the best of me! Never fear, though, for this week I’ve chronicled my healthy, wholesome Wednesday meals. Breakfast: A green smoothie of 1 frozen banana, 1/4 avocado, 1 tbsp chia seeds, 1/2 tsp spirulina, 1/2 medium bunch of lacinato kale, radish greens from the tops of two radishes, 1 cup frozen pineapple, 1/2 cup frozen butternut squash, 1/2 cup Caribbean Queen Juice (orange, lemon, and ginger) from the Willy Street Coop, and 1/4 cup coconut water topped with 2 tbsp toasted almonds and 1 cup (unpictured) brown rice puffs. Thrilled to discover spirulina in the bulk herb section of the Willy Street Coop, I’ve enjoyed both the deep blue-green color and the powerful health benefits this powdered algae imparts into my smoothies, also happily experimenting with adding it to this recipe for Pineapple-Almond Balls. Breakfast Checklist: Protein—almonds. Whole Grain—brown rice puffs. Fruit—banana, avocado, pineapple, orange, lemon. Leafy Green—kale, radish greens. “Super Food”—chia seeds, spirulina. Added Veggie Bonus!—ginger, butternut squash. Local Ingredients: Radish greens from the Plahnt Farm, juice from the Willy Street Coop. Morning Tea: Épices Chocolatées, or Chocolate Spice from La Cour Tisane. Lisa keeps this tea in her Montreal dorm—rather, she did until I gulped down almost the whole box-worth of decadent, chocolately tea goodness…and then stole the remaining bags to accompany me back to America. Am I a bad friend? Perhaps. Butall’s fair in love and tea. Lunch Box: Mixed lettuces, alfalfa sprouts, “farmhouse mix” sprouts, yellow carrot, and cherry tomatoes tossed with Liquid Gold Dressing and topped with a dollop of kimchi as well as two Chard-Lentil-Quinoa Patties inspired by this recipe, one topped with the recipe’s accompanying Peasamole and the other topped with classic guacamole from Rick Bayless’ Mexican Kitchen. My changes to the original patty recipe: doubled the recipe; formed the mini cakes into large “burgers” instead; replaced the pinto/black beans with leftover Le Puy lentils; substituted rainbow chard for the dandelion greens; used young green garlic in place of the green onions; omitted the Sriracha; replaced half of the chickpea flour with reishi mushroom powder; baked for 20 minutes each side. Meal Checklist: Protein—lentils in patties. Whole Grain—sprouted quinoa in patties. Vegetables—alfalfa sprouts, mixed sprouts, carrot, tomatoes, kimchi veggies, green garlic, reishi mushroom powder, peas, onion, sundried tomatoes, cilantro, avocado, garlic. Leafy Greens—mixed greens, rainbow chard in patties, cabbage in kimchi. Local Ingredients: Alfalfa sprouts from Troy Gardens, carrots from JenEhr Family Farm, farmhouse mix sprouts from Garden to Be (no website), kimchi from Fizzeology, mixed lettuces from Young Earth Farm, cherry tomatoes from Canopy Gardens, green garlic from Harmony Valley Farm, reishi mushrooms from Herb n’ Oyster Mushroom Farm, cilantro from Blue Skies Berry Farm, garlic from Brantmeier Family Farm. Afternoon Snack: A glass of NessAlla Kombucha in Raspberry flavor. Dinner: A bowl of Beet Bourguignon from Green Kitchen Stories, served over 1/2 cup each of sprouted quinoa and chickpeas, along with a small helping of steamed broccoli. The rich, deep, complexity of the stew truly satisfied my hunger, especially after an intense yoga class. Leftovers taste even better, for the flavors have a chance to further mingle and intensify. I also experimented with serving the stewed vegetables cold over a salad, and preferred their flavor in that setting, surprisingly. Meal Checklist: Protein—chickpeas. Whole Grain—sprouted quinoa. Vegetables—onion, garlic, beets, carrots, portabella and crimini mushrooms. Leafy Greens—broccoli. Local Ingredients: Garlic from Brantmeier Family Farm, beets from GittOrganic, carrots from Tipi Produce. Comment Provoking Questions: What are your favorite uses/recipes for spirulina? Aren’t you excited to see my local ingredients lists getting longer? The outdoor farmers market is almost upon us!